Does the Grand Canyon State place limits on personal injury settlements and judgments? A “damage cap” is a law that limits the amount of compensation an injured person can receive in a lawsuit. A number of states have established damage caps for certain types of cases and categories of damages. Arizona is 1 of only 5 states whose Constitution prohibits capping damages for personal injury lawsuits. Let’s take a closer look at damage caps and their role in Arizona personal injury cases. In states with damage caps, the cap often applies to a specific category of damages. For example, a state might cap non-economic damages at $500,000, but not place a cap on economic damages. Or a state might place a $500,000 cap on both economic and non-economic damages, but prohibit a plaintiff from recovering any punitive damages at all. Let’s take a closer look at each category of damages. Enjuris tip: Find out how damages are calculated. Enjuris tip: Use our medical expense worksheet to keep track of your medical expenses following an accident. Enjuris tip: Use our post accident journal to keep track of your injuries impact on your everyday life. Arizona doesn’t recognize a cap on punitive damages against private individuals or companies. However, the United States Supreme Court in State Farm Mut. Automobile Ins. Co. v. Campbell, 538 U.S. 408 (2003) ruled that a ratio of punitive damages to compensatory damages that exceeds 9:1 will generally be deemed unconstitutional. Arizona completely prohibits punitive damages in personal injury actions against public entities or public employees acting within the scope of their employment. The Constitution of the State of Arizona prohibits placing caps on damages for personal injury or death. This means that in Arizona the jury has complete authority to decide the amount of damages awarded in a personal injury lawsuit. A judge won’t reduce the jury’s award unless the award is so excessive or inconsequential that it’s considered unjust. The Constitutions of Arkansas, Kentucky, Pennsylvania, and Wyoming also include language specifically prohibiting the limitation of damage awards in tort cases. On three occasions (in 1986, 1990, and 1994), voters in Arizona were given the opportunity to amend the Constitution to allow for damage caps. On each occasion, a majority of voters rejected the proposed amendment. There have been recent talks about initiating yet another amendment to allow for damage caps. 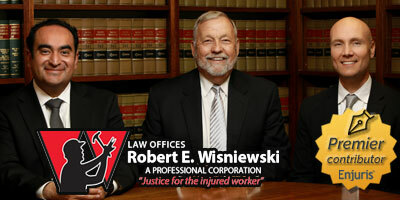 Workers’ compensation claims are different than civil lawsuits. Arizona’s prohibition of damage caps applies to civil lawsuits, not workers’ compensation claims. In a workers’ compensation claim, an injured employee is entitled to lifetime medical and compensation benefits, but the total compensation that can be awarded is capped by law. Arizona follows a “pure comparative fault theory.” This means that the amount of damages a plaintiff can recover in a personal injury suit is reduced by a percentage that reflects the plaintiff’s degree of fault—no matter what that percentage may be. For example, let’s say a driver runs a red light and crashes into you. But let’s also say you were driving at night with your headlights off. At trial, the jury finds you 20% at fault and the defendant 80% at fault. Under Arizona’s comparative fault theory, you would only be able to recover 80% of your damages. While this isn’t technically a “damage cap,” it does represent a potential limitation to the amount of damages you can recover in a personal injury lawsuit. If you have questions about what sort of compensation might be available in your personal injury case, use our free online directory to contact an experienced Arizona attorney.